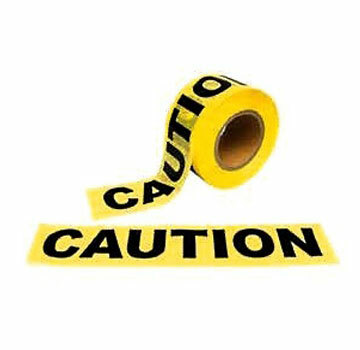 PRODUCT: CAUTION TAPE, 3" WIDE x 1000' LONG x 2-MIL THICK. PRICE/ROLL. ( 8 rolls/case; purchase full cases for extra discounts). Super Sale. * Heavy Duty 2-mil / 50 micron tape. *Can be tied, stapled, or nailed in place.